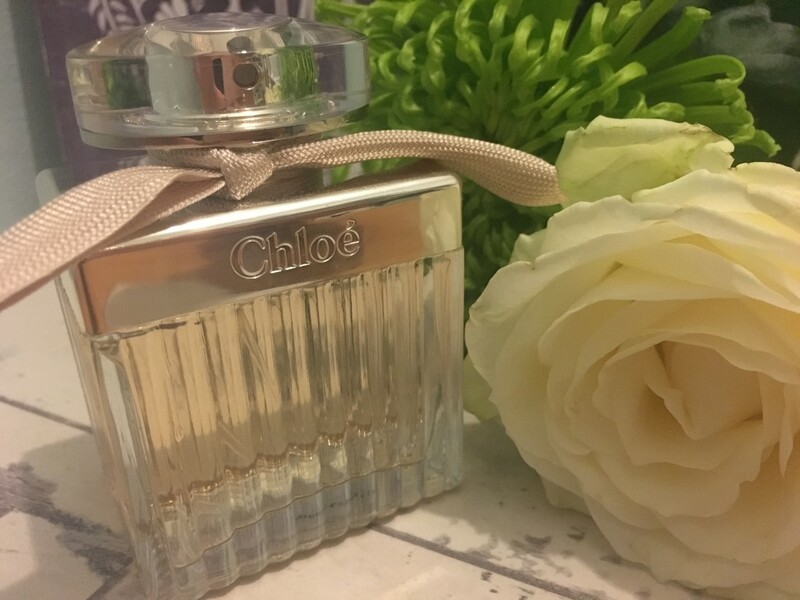 Chloé was one of the first designer perfumes I was ever given and I believe I was 15 when I first started wearing this perfume. So I have been wearing this for around 5-6 years now and it has become my signature scent. Before getting Chloé perfume has a gift, I would wear cheaper perfumes or I would buy perfumes that celebrities had created because they tended to be less expensive. However, I now will usually only buy more expensive perfumes, they don't have to be ridiculous prices but I will buy a perfume that usually costs more than £50. At the moment, I have been wearing Tommy Hilfiger and Marc Jacobs Decadence perfumes, but I am so happy to have Chloé back in my collection. I got given this perfume at Christmas when I was probably 15 (but I could have been younger) and I remember smelling it for the first time and being in love with it. From then on I have always worn this perfume and I think if I was to only wear one perfume for the rest of my life, I would have to choose this one. First of all, the packaging is really sweet and is very simple. I am a massive fan of how intricate the perfume bottles are from Marc Jacobs, and they look stunning on a dressing table. 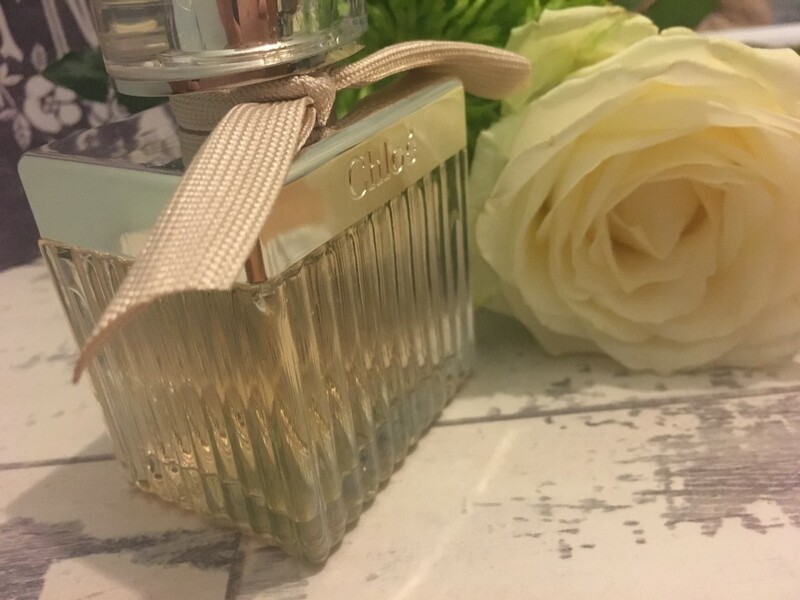 However, I love the simplicity of the perfume bottle by Chloé and it also looks really pretty on a dressing table. 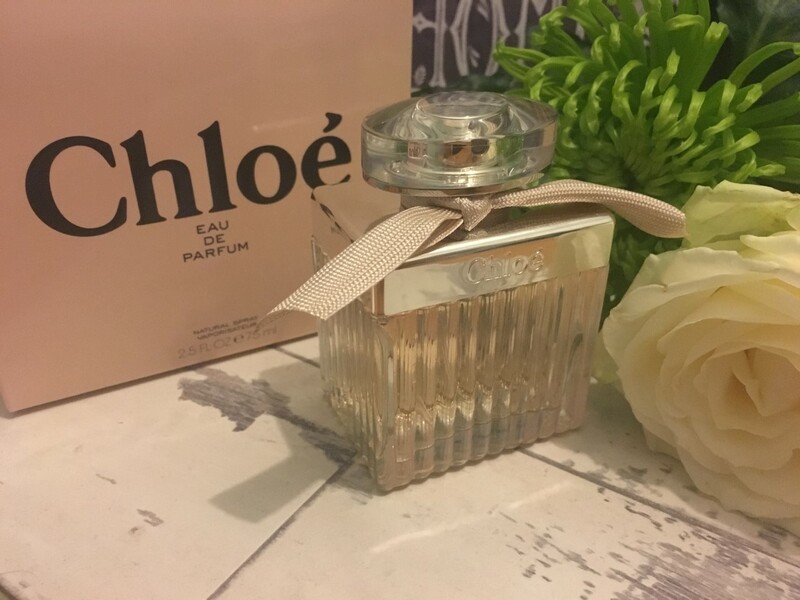 It is a simple glass bottle in cube shape, with a silver plated collar around the top which has been embossed with Chloé. It then has a simple lid to it made of glass, and then there is a simple cream bow that is tied around the neck of the bottle. Obviously it looks very simple when I put it next to my Decadence perfume from Marc Jacobs (which I did a review on in February), but this bottle is so pretty and really I don't mind what the bottle looks like as long as the fragrance is amazing. The bottle reminds me of a vintage bottle that you would see in the 1920s. I absolutely love the scent of this fragrance, and like I already said this is my signature scent. Whenever I go out I am more than likely wearing this perfume. I've never actually looked at the notes that have been used in this fragrance and I was surprised to see so many floral notes used. Trust me this does not smell of strong floral scents and is instead quite sweet but is not too overpowering. Some fragrances can be too overpowering (and smell too much like flowers) for me and can give me a headache but that is definitely not the case with this perfume. 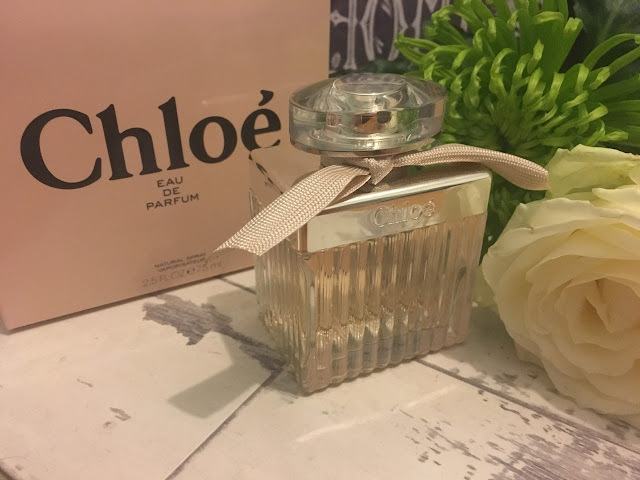 "Chloé eau de parfum captures the confident individuality of a free spirited woman," which was stated on the John Lewis website and I think this perfume is great for any age, and is such a beautiful present to give for Christmas, birthday or even as a graduation present. Overall, this creates the most amazing scent and I will always be repurchasing this perfume in the future because it is a scent that I love and I have been wearing it for years now, and I believe if you find a scent that suits you, then you should definitely keep wearing it.